Cash and voting tickets will be available only in PhotoCard app lockscreen!! 2. What is difference Between photocard app and for celeb app?? – Cash Flower Box is delivered every 15mins!!! 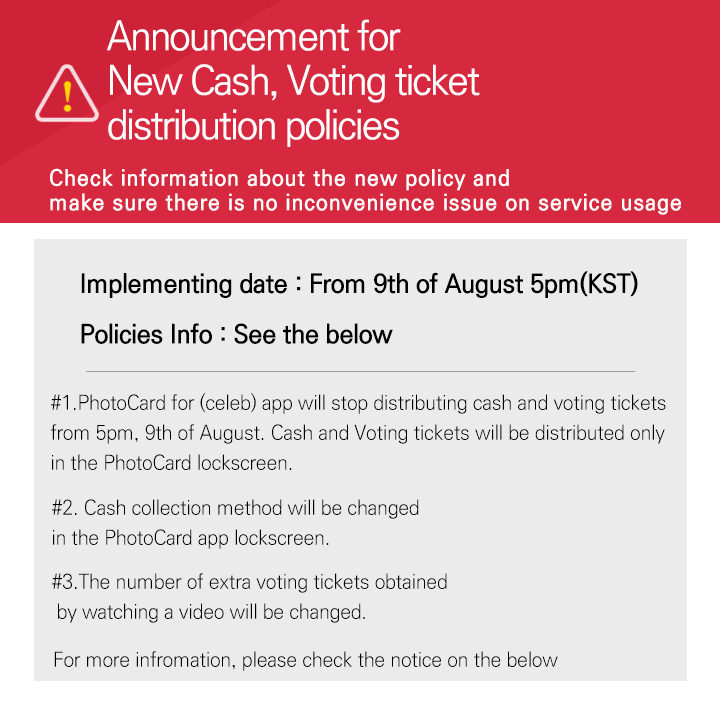 PhotoCard for (Celeb) app will stop distributing cash and voting tickets from 5pm, 9th of August. 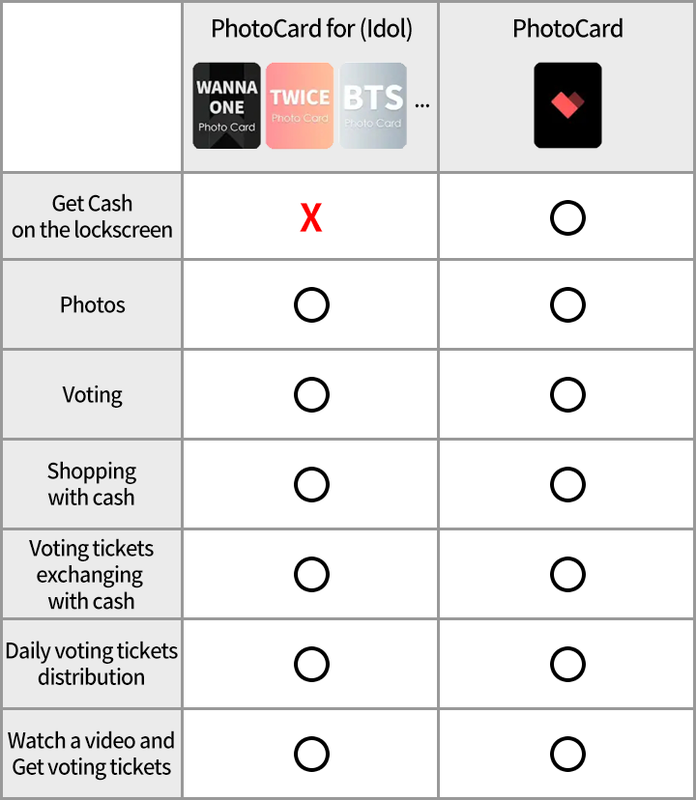 Cash and Voting tickets will be distributed only in the PhotoCard lockscreen. 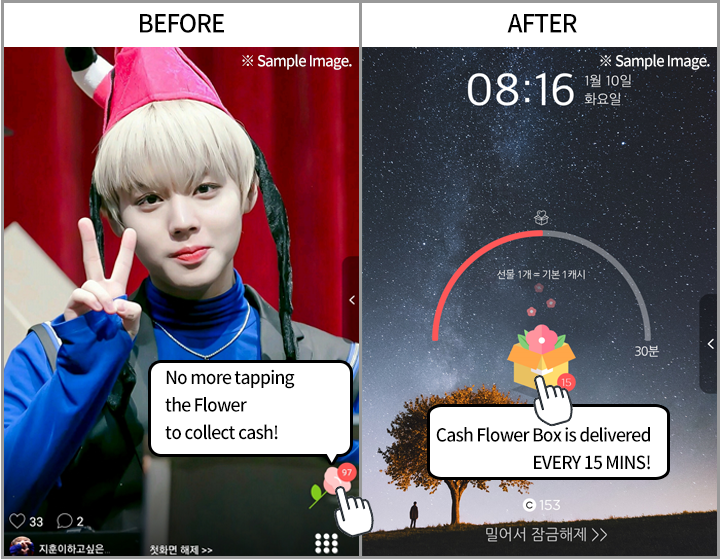 Cash collection method will be changed in the PhotoCard app lockscreen. The number of extra voting tickets obtained by watching a video will be changed.